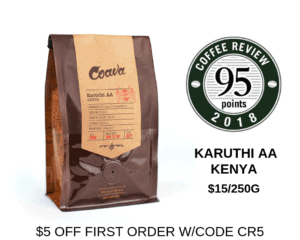 This coffee tied for the fourth-highest rating in a tasting of holiday coffees for Coffee Review‘s December 2018 tasting report. Produced from trees of the rare Ethiopia-derived botanical variety Geisha (also spelled Gesha) by farmer Roberto Brenes of Auromar Estate. With its generally elongated beans and distinctive floral and crisp, often chocolaty cup, the Geisha/Gesha variety continues to distinguish itself as one of the world’s most unique coffees. This is a dry-processed or “natural” version, meaning the beans were dried inside the fruit rather than after the fruit has been removed, as is the case with wet-processed or “washed” coffees. Willoughby’s Coffee & Tea is a pioneer specialty coffee roaster established in the early 1980s that has gracefully and successfully moved with the times and now offers a menu of extremely refined small-lot, single-origin coffees. Visit www.willoughbyscoffee.com or call 800-388-8400 for more information. 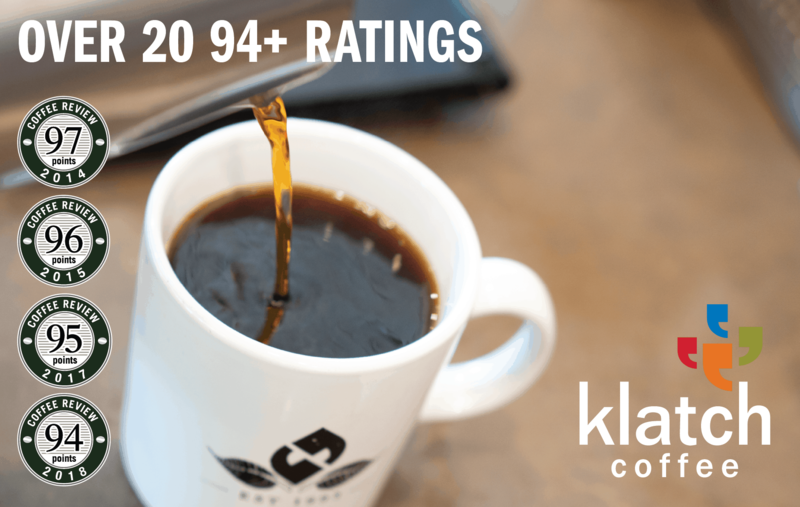 The Bottom Line: A stone fruit-driven natural-processed Geisha cup with an engaging, cleanly cordial-like fruit ferment suggestion throughout.